The Black Marlin BL is a RTR (Ready-To-Run) boat that arrives 100% factory-assembled out of the box with a 2-channel, 2.4 GHz radio system that features fully proportional steering and throttle control, a 17gram water-proof servo, and a convenient DC charger. The BL comes with a display stand that proudly shows it off when in dry dock. 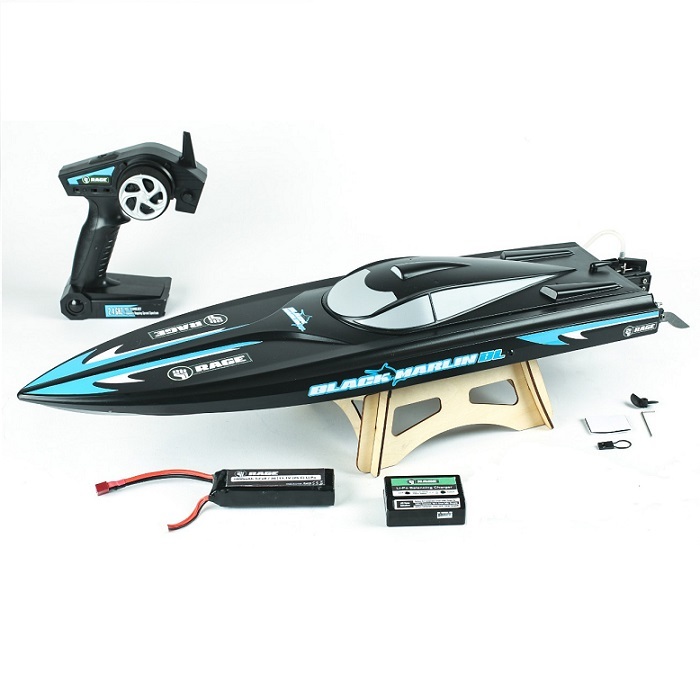 Even the AA transmitter batteries are included, so the Black Marlin BL can be racing across a local pond or lake within minutes of opening the box!